A phase I clinical trial investigating the use of bacterial Clostridium novyi-NT spores as an injectable monotherapy had manageable toxicities and showed early clinical efficacy in patients with treatment-refractory solid tumor malignancies, according to data presented at the Fourth CRI-CIMT-EATI-AACR International Cancer Immunotherapy Conference: Translating Science into Survival, held September 30-October 3, 2018, in New York City. "Even after a single injection of this bacterial therapy, we see biological and, in some patients, clinically meaningful activity," said Filip Janku, MD, PhD, Associate Professor at the Department of Investigational Cancer Therapeutics (Phase I Clinical Trial Program), The University of Texas MD Anderson Cancer Center, Houston. "This strategy is feasible, has manageable adverse effects, and could be clinically meaningful in patients with few therapeutic options." While prior anticancer therapies have utilized bacteria, these treatments can cause infection and severe side effects, explained Dr. Janku. C. novyi-NT is an attenuated bacterium that requires a hypoxic environment, a feature of cancerous lesions, to survive and proliferate and therefore does not affect healthy cells, he noted. "By exploiting the inherent differences between healthy and cancerous tissue, C. novyi-NT represents a very precise anticancer therapeutic that can specifically attack a patient's cancer," Dr. Janku said. Researchers from the Verstreken lab (VIB-KU Leuven) in Belgium have identified a completely novel function for Hsp90, one of the most common and most studied proteins in our body. In addition to its well-known role as a protein chaperone, Hsp90 stimulates exosome release. These findings shed new light on treatment strategies for both cancer and neurodegenerative diseases. Hsp90 (heat-shock protein 90), is one of the most abundant proteins, making up one or two out of every hundred proteins in our cells. Heat shock proteins are conserved across animals, plants, and even fungi. Their name dates back to the ‘80, when they were first described as a group of proteins upregulated upon sudden heat stress. The article was published in the September 6, 2018 in Molecular Cell. The article is titled “Hsp90 Mediates Membrane Deformation and Exosome Release." Over the past decades we have learned a significant amount about Hsp90’s function. As a protein chaperone, it assists in the proper folding of other proteins and stabilizes them in case of cellular stress. Hsp90 also helps degrade damaged or misfolded proteins that are beyond salvation. These myriad functions make Hsp90 a crucial governor of protein homeostasis in the cell. New research by Professor Patrik Verstreken and his team at VIB and KU Leuven shows that—independently of its chaperone function—Hsp90 also aids in the release of exosomes. 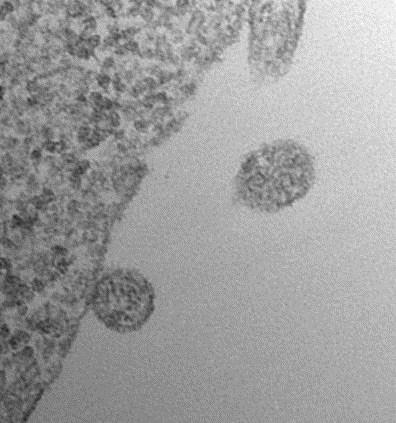 Exosomes are vesicles that are released from the cell after the fusion of vesicle-containing bodies with the cellular membrane. They can contain signaling molecules, but also potentially toxic proteins. “Our experiments in the lab using fruit flies show that Hsp90 can bind and deform cellular membranes,” explains Yu-Chun Wang, one of the researchers in Verstreken’s team. According to an article written by Alice Melao and published on September 5, 2018 in Parkinson’s Disease Today, tiny fatty vesicles that naturally circulate in the blood can effectively carry medications into the central nervous system, including into the brain, an early study in mice suggests. These blood vesicles, called exosomes, were able to successfully deliver dopamine directly to specific areas of the brain affected by Parkinson’s disease. The research study, “Dopamine-Loaded Blood Exosomes Targeted to Brain for Better Treatment of Parkinson’s Disease,” was published in the October 10, 2018 issue of Journal of Controlled Release. Parkinson’s disease is characterized by the progressive degeneration and death of nerve cells in the brain that produce dopamine (called dopaminergic neurons). Dopamine is a critical signaling molecule that regulates brain cell activity and function. Melao noted that, given the disease’s progressive nature researchers have focused on finding ways to prevent the death of dopaminergic neurons or to restore brain levels of dopamine. But a major challenge has been getting potential therapeutic agents across the blood-brain barrier — a semi-permeable membrane that protects the brain — and reach targeted areas. Researchers at Sichuan University in China explored the possibility of using exosomes as a vehicle for dopamine transport. The team isolated and purified exosomes from blood of mice, and labeled them with a green fluorescent tag to be able to track them easily. 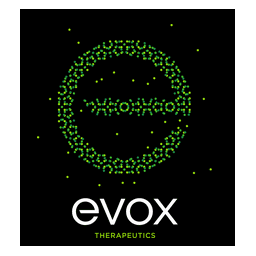 When researchers used these exosomes in mouse brain cells grown in the laboratory, they confirmed that the vesicles merged with cell membranes, and their content was released inside the cell, turning it green. A mechanism for how the disease ALS (amyotrophic lateral sclerosis, also called Lou Gehrig’s disease) evolves has been illuminated at Umeå University, Sweden. This was reported in a September 4, 2018 release from Umeå University, Sweden. The discovery concerns how proteins with a defective structure spread the deformation to other proteins. This according to results in a new thesis. The findings can open up for novel pharmaceutical developments in the future. "We've been able to identify two different types of protein aggregates with different structures and propagation abilities. One type gave rise to a more aggressive disease progression, which shows that these aggregates are the driving force in the development of ALS," says Johan Bergh, MD, doctoral student at the Department of Medical Biosciences at Umeå University, Sweden. Together with the ALS group at Umeå University, Bergh has developed a method of investigating protein aggregates formed in ALS. With this new method, it has then been possible to identify the particular protein aggregates that are driving in the emergence of ALS. The protein that has been targeted is superoxide dismutase-1 (SOD1). It has long been known that mutations in that protein can cause ALS. The goal of the research team was to investigate the way in which the protein contributes to the disease. In several diseases afflicting the nervous system, such as in Alzheimer's and Parkinson's Disease, new studies show that some proteins assume an aberrant structure. Misfolded proteins aggregate and provoke other proteins of the same kind to assume the same structure. In this way, the disease spreads step by step into the nervous system. "Using the new method, we have shown and confirmed through animal models that the development of ALS follows the same principle as for other severe nervous disorders. Engineers at the University of California San Diego have developed neutrophil "nanosponges" that can safely absorb and neutralize a variety of proteins that play a role in the progression of rheumatoid arthritis. Injections of these nanosponges effectively treated severe rheumatoid arthritis in two mouse models. 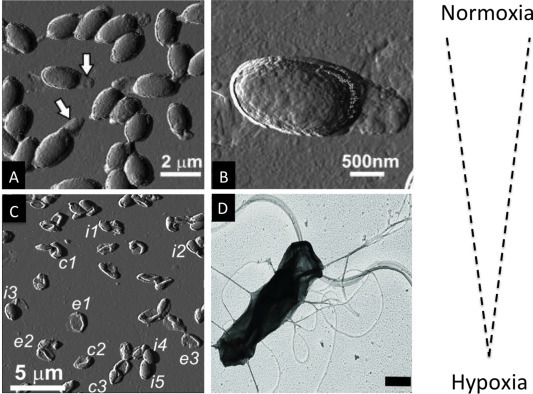 Administering the nanosponges early on also prevented the disease from developing. The work was published online on September 3, 2018 in Nature Nanotechnology. The article is titled “Neutrophil Membrane-Coated Nanoparticles Inhibit Synovial Inflammation and Alleviate Joint Damage in Inflammatory Arthritis.” "Nanosponges are a new paradigm of treatment to block pathological molecules from triggering disease in the body," said senior author Dr. Liangfang Zhang, a nanoengineering professor at the UC San Diego Jacobs School of Engineering. "Rather than creating treatments to block a few specific types of pathological molecules, we are developing a platform that can block a broad spectrum of them, and this way we can treat and prevent disease more effectively and efficiently." This work is one of the latest examples of therapeutic nanosponges developed by Dr. Zhang's lab. Dr. Zhang, who is affiliated with the Institute of Engineering in Medicine and Moores Cancer Center at UC San Diego, and his team previously developed red blood cell nanosponges (http://jacobsschool.ucsd.edu/news/news_releases/release.sfe?id=1350) to combat and prevent MRSA (methicillin-resistant Staphylococcus aureus) infections and macrophage nanosponges (http://jacobsschool.ucsd.edu/news/news_releases/release.sfe?id=2400) to treat and manage sepsis. The new nanosponges are nanoparticles of biodegradable polymer coated with the cell membranes of neutrophils, a type of white blood cell. Venomous reptiles, bugs, and marine life have notorious reputations as dangerous, sometimes life-threatening creatures. But in a paper published in the August 31, 2018 issue of Science, first author Dr. Mandë Holford, an Associate Professor of Chemistry and Biochemistry at The Graduate Center of The City University of New York (GC/CUNY) and Hunter College, details how technology and a growing understanding of the evolution of venoms are pointing the way toward entirely new classes of drugs capable of treating diabetes, autoimmune diseases, chronic pain, and other conditions. According to Dr. Holford and her colleagues, venomous species account for more than 15 percent of the Earth's documented biodiversity, and they can be found in virtually all marine and terrestrial habitats. Still, researchers have studied very few venoms because, until recently, scientists lacked the appropriate technology for analyzing the tiny amounts of venom that can be extracted from these mostly small species. 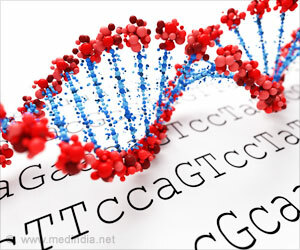 But innovations in omics (technologies that map the roles, relationships, and actions of an organism's molecular structure) are allowing researchers to uncover evolutionary changes and diversification among specific venomous species that could prove useful in developing new drugs capable of precisely targeting and binding to molecules that are active in certain human diseases. "Knowing more about the evolutionary history of venomous species can help us make more targeted decisions about the potential use of venom compounds in treating illnesses," said Dr. Holford. "New environments, the development of venom resistance in its prey, and other factors can cause a species to evolve in order to survive.